Last week, in London, the top minds in financial technology came face to face at the STAC Summit to discuss the technology challenges facing the financial industry. The impact big data is having on the financial industry was a hot topic, and many discussions revolved around having the best technology on hand for handling data faster to gain a competitive advantage. It was in this setting that IBM shared recent benchmark results revealing that an IBM POWER8-based system server can deliver more than twice the performance of the best x86 server when running standard financial industry workloads. STAC-A2 is a set of standard benchmarks that help estimate the relative performance of full systems running complete financial applications. This enables clients in the financial industry to evaluate how IBM POWER8-based systems will perform on real applications. STAC-A2 gives a much more accurate view of the expected performance as compared to micro benchmarks or simple code loops. 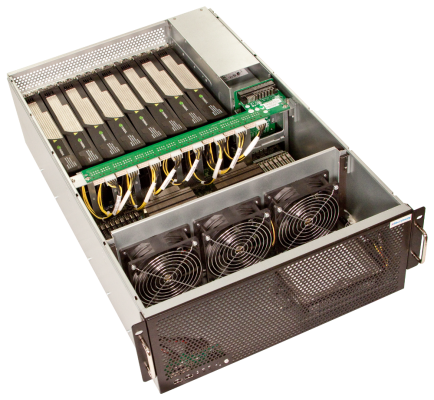 STAC recently performed STAC-A2 Benchmark tests on a stack consisting of the STAC-A2 Pack for Linux on an IBM Power System S824 server using two IBM POWER8 Processor cards at 3.52 GHz and 1TB of DRAM, with Red Hat Enterprise Linux version 7. And, as reported above, according to audited STAC results, the IBM Power System S824 delivered more than twice the performance of the best x86 based server measured. Those are the kind of results that matter—real results for real client challenges. POWER8 processors are based on high performance, multi-threaded cores with each core of the Power System S824 server running up to eight simultaneous threads at 3.5 GHz. Power System S824 also has a very high bandwidth memory interface that runs at 192 GB/s per socket which is almost three times the speed of a typical x86 processor. These factors along with a balanced system structure including a large internal 8MB per core L3 are the primary reasons why financial computing workloads run significantly faster on POWER8-based systems than alternatives. The STAC-A2 financial industry benchmarks add to the performance data that the Cabot Partners published recently. Cabot evaluated the performance of POWER8-based systems versus x86-based systems, evaluating functionality, performance and price/performance across several industries, including life sciences, financial services, oil and gas and analytics, referencing standard benchmarks as well as application oriented benchmark data. The findings in the STAC-A2 benchmarking report position POWER8 as the ideal platform for the financial industry. This data, combined with the recently published Cabot Partners report, represents overwhelming proof that IBM POWER8-based systems take the performance lead in the financial services space (and beyond)—clearly packing a stronger punch when compared to the competition. For a second year, the standout reliability leader was HGST. Now a wholly owned subsidiary of Western Digital, HGST inherited the technology and designs from Hitachi (which itself bought IBM’s hard disk division). Across a range of models from 2 to 4 terabytes, the HGST models showed low failure rates; at worse, 2.3 percent failing a year. This includes some of the oldest disks among Backblaze’s collection; 2TB Desktop 7K2000 models are on average 3.9 years old, but still have a failure rate of just 1.1 percent. Backblaze’s storage is largely split between Seagate and HGST disks. HGST’s parent company, Western Digital, is almost absent, not because its disks are bad, but because they came out as consistently more expensive than those from Seagate and HGST. Newer Seagate disks also show more encouraging results. Although still young, at an average age of just 0.9 years, the 4TB HDD.15 models show a reasonably low 2.6 percent failure rate. Coupled with their low price—Backblaze says that they tend to undercut HGST’s disks—they’ve become the company’s preferred hard drive model. As before, this doesn’t mean that anyone with a Seagate disk is at risk of an imminent hard disk failure (though you should always have backups!). Backblaze operates disks outside of the manufacturer’s specified parameters. Significantly, most consumer-grade disks aren’t intended to be heavily used 24/7; they’re meant to be operational for about 8 hours a day and replaced every 3 to 5 years. Most home usage environments are likely to be lower in vibration than Backblaze’s 45-disk storage pods, too. In more normal conditions, the Seagates are likely to fare much better. Today at Supercomputing 2014, DataDirect Networks lifted the veil a bit more on Infinite Memory Engine (IME), its new software that will employ Flash storage and a bunch of smart algorithms to create a buffer between HPC compute and parallel file system resources, with the goal of improving file I/O by up to 100x. The company also announced the latest release of its Exascaler, its Lustre-based storage appliance lineup. The data patterns have been changing at HPC sites in a way that is creating bottlenecks in the I/O. While many HPC shops may think they’re primarily working with large and sequential files, the reality is that most data is relatively small and random, and that fragmented I/O creates problems when moving the data across the interconnect, says Jeff Sisilli, Sr. Director Product Marketing at DataDirect Networks. DDN says it overcame the restrictions in how parallel file systems were created with IME, which creates a storage tier above the file system and provides a “fast data” layer between the compute nodes in an HPC cluster and the backend file system. The software, which resides on the I/O nodes in the cluster, utilizes any available Flash solid state drives (SSDs) or other non-volatile memory (NVM) storage resources available, creating a “burst buffer” to absorb peak loads and eliminate I/O contention. IME works in two ways. First, it removes any limitations of the POSIX layer, such as file locks, that can slow down communication. Secondly, algorithms bundle up the small and random I/O operations into larger files that can be more efficiently read into the file system. In lab tests at a customer site, DDN ran IME against the S3D turbulent flow modeling software. The software was really designed for larger sequential files, but is often used in the real world with smaller and random files. In the customer’s case, these “mal-aligned and fragmented” files were causing I/O throughput across the InfiniBand interconnect to drop to 25 MBs per second. After introducing IME, the customer was able to ingest data from the compute cluster onto IME’s SSDs at line rate. “This customer was using InfiniBand, and we were able to fill up InfiniBand all the way to line rate, and absorb at 50 GB per second,” Sisilli says. The data wasn’t written back into the file system quite that quickly. But because the algorithms were able to align all those small files and convert fragments into full stripe writes, it did provide a speed up compared to 25MB per second. “We were able to drain out the buffer and write to the parallel file system at 4GB per second, which is two orders of magnitude faster than before,” Sisilli says. The “net net” of IME, Sisilli says, is it frees up HPC compute cluster resources. “From the parallel file system side, we’re able to shield the parallel file system and underlying storage arrays from fragmented I/O, and have those be able to ingest optimized data and utilize much less hardware to be able to get to the performance folks need up above,” he says. IME will work with any Lustre- or GPFS-based parallel file system. That includes DDN’s own EXAscaler line of Lustre-based storage appliances, or the storage appliances of any other vendor. There are no application modifications required to use IME, which also features data erasure encoding capabilities typicaly found in object file stores. The only requirements are that the application is POSIX compliant or uses the MPI job scheduler. DDN also provides an API that customers can use if they want to modify their apps to work with IME; the company has plans to create an ecosystem of compatible tools using this API. There are other vendors developing similar Flash-bashed storage buffer offerings. But DDN says the fact that it’s taking an open, software-based approach gives customer an advantage over those vendors that are requiring customers to purchase specialized hardware, or those that work with only certain types of Interconnects. IME is still undergoing tests, and is expected to become generally available in the second quarter of 2015. DDN will offer it as an appliance or as software. DDN also today unveiled a new release of EXAScaler. With Version 2.1, DDN has improved read and write I/O performance by 25 percent. That will give DDN a comfortable advantage over competing file systems for some time, says Roger Goff, Sr. Product Manager for DDN. Other new features in version 2.1 include support for self-encrypting drives; improved rebuild times; InfiniBand optimizations; and better integration with DDN’s Storage Fusion Xcelerator (SFX Flash Caching) software. 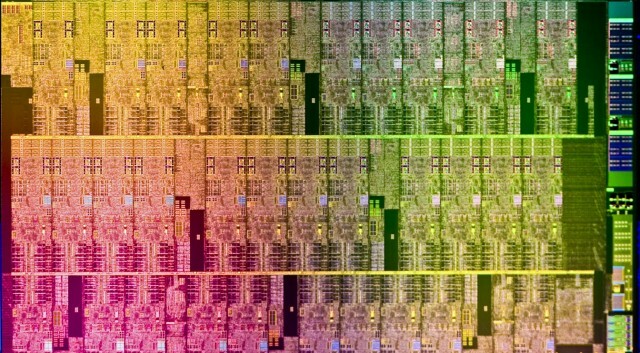 DDN has also standardized on the Lustre file system from Intel, called Intel Enterprise Edition for Lustre version 2.5. That brings it several new capabilities, including a new MapReduce connector for running Hadoop workloads. “So instead of having data replicated across multiple nodes in the cluster, which is the native mode for HDFS, with this adapter, you can run those Hadoop applications and take advantages of the single-copy nature of a parallel file system, yet have the same capability of a parallel file system to scale to thousands and thousands of clients accessing that same data,” Goff says. EXAScaler version 2.1 is available now across all three EXAScaler products, including the entry-level SFA7700, the midrange ES12k/SFA12k-20, and the high-end SFA12KX/SFA212k-40.